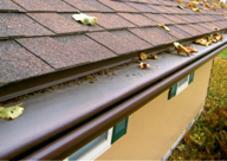 Gutter Guards for Rain Gutter Protection - Get a free gutter guard estimate today! Keeping your gutters and downspouts free of debris is a very important part of keeping your gutter system functioning properly. 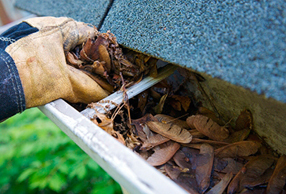 Unless you hire a professional - gutter cleaning can be an extremely dangerous task. 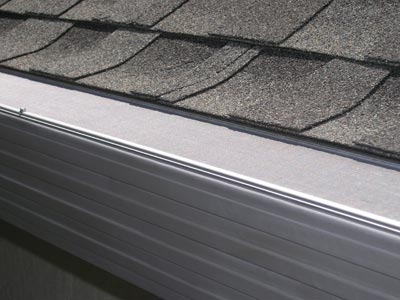 At California Gutterworks, we offer a variety of gutter guards to help eliminate or reduce the need for gutter cleaning. Our gutter guard products range from excellent NO CLOG Leaf Protection Systems, to low-maintenance gutter screens. protection product that doesn't meet up to it's claims? At California Gutterworks, we only install gutter guard systems that we know REALLY work. Our gutter protection products are examined and tested by our gutter professionals to see exactly how they work. This ensures that you are getting a gutter guard product that truly performs! We stand behind the products we install. Read all about our gutter guard products and how they work...​​ Give us a call today and get your FREE gutter guard estimate. Over 10,000 ladder related injuries are treated in emergency rooms every year! Why risk your health and well-being when gutter protection can easily be achieved with gutter guards? Stop gutter cleaning for good! Get an estimate for gutter guard or gutter screens today.